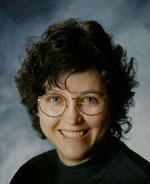 Jeanne Shannon’s poetry, memoir pieces, and short fiction have appeared in numerous small-press and university publications as well as in full-length collections. 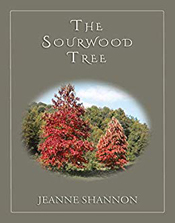 She has called herself editor, technical writer, and publisher, and now adds novelist to her resume with the release of The Sourwood Tree (Mercury Heartlink, 2018). You’ll find Jeanne on her Amazon author page. What is the story at the heart of The Sourwood Tree? One woman’s life—its hard times and hard-won emancipation. The book is based on the life of a cousin, “Anna May,” who lived next door when I was growing up, though much of it is invented. One of the scenes that is not invented is the one in which she went out into the woods and lay down under a tree when she was about to give birth to her out-of-wedlock child. When my mother told me about that more than forty years ago, I knew I had to write about it. I had to tell Anna May’s story. Anna May was in her teens when I was younger than ten, and I was fascinated by her clothes, her pompadour-style hairdo (think Betty Grable in one of her famous pin-up shots), her high-heeled shoes, her bright red nail polish. She lived on and on in my memory as the years went by—another reason I wanted to write about her. I made a few not very successful attempts to write the story about five or six years ago, and it started coming together about three years ago. I worked on the beginning sporadically for a while, then the narrative just took off and steered its own course, almost without any help from me. Who is your main character? Why will readers connect with her? The main character is Anna May Osborne, who tells her life story from birth to death. Because she was the victim of sexual exploitation by her stepfather (and by another man who impregnated her and deserted her), women will connect with her, particularly those who have been the victims of male entitlement and sexual misconduct. But several men have bought the book and seem to empathize with the challenges of Anna May’s life. What is the main setting, and how does it impact the story and the characters? Do you consider the setting a character in the book? The setting is far southwestern Virginia, four miles from the Kentucky state line where Anna May and I grew up. Many of the scenes are set on or near the farm where I lived as a child and where Anna May had lived a few years earlier before her family moved a short distance away. Yes, the setting is definitely a character in the book. Even the sourwood tree of the title is a character in its own right. It’s an invented character, for though sourwood trees grow in southwestern Virginia, I don’t know that such a tree ever played a role in the real events of Anna May’s life. I took care to include information about the social history of that place and time (1920s to 1990s)—that is, what it was like to live in that isolated area without the amenities of electricity, plumbing and telephones, and where mail delivery was on horseback. And where the catalog of Sears, Roebuck & Company was the Amazon.com of its day (I write this on a day when Sears is closing its last store in Albuquerque). And what it was like for Anna May to be a child in the country, playing in the fields and woods and happily exercising her imagination, unencumbered by technology. I also wanted to show the importance of guns in that culture. Every householder owned a gun, if only for hunting rabbits and squirrels to put food on the table, or to eliminate foxes that were killing their poultry. But guns were also an accepted way of settling arguments, and those confrontations sometimes resulted in the death of one of the parties. In the book, one of Anna May’s brothers died in such a confrontation, and that was true, not my invention. Another aspect of the social history of that region is the importance of religion and spirituality, and Anna May’s religious beliefs (and doubts) are an important aspect of her journey. What was the most challenging aspect of writing this book, and what was the most enjoyable? It was a challenge to get the “voice” right. That is, to have Anna May speak in an authentic southwestern Virginia voice, making sure she did not use any words that would not have been in her vocabulary. Along with that was trying to make sure her voice, her dialect, would not become a distraction to the reader. That was a very fine line to walk. Also, it was a challenge to get the timeline exact. I chose to use some dates that were the actual dates of events I knew to be true, and I had to work forward (and backward) from those, and had to be careful to make sure the timeline made sense. The most enjoyable aspect was going back in memory and revisiting the world where Anna May and I grew up, and presenting it to the reader. When I had Anna May go to a molasses stir-off and watch the horse pulling the cane-mill spools around and around, I was doing that once more myself. When I had her put her dolls in a dishpan and sail them on the pond (as I used to do), I was doing that myself. And with her I was once again watching “Esau Colley” riding by on horseback, carrying the mail. Did you discover anything surprising while doing research for The Sourwood Tree? When did you know you had taken the manuscript as far as it could go and it was ready for publication? After a certain point fairly early in the story, it just took over and “wrote itself.” I had no idea how the plot was going to unfold after I included the few things about Anna May’s life that I knew or believed to be true. Now that I look back on it, I ask myself, “How did I come up with that turn of events?” I can’t remember analyzing the story to see whether it was finished or not. I just knew when Anna May had said all she needed to say. Some readers have complained that they wanted the story to be longer, but Anna May was in control. If I had tried to force her to say more, the result would have been unsatisfactory. In your writing career you’ve focused on poetry, short fiction, and memoir essays. What made you decide to give long fiction a try? I had wanted to write a novel for years, but could never think up a plot that could be sustained throughout a long work of fiction. Anna May’s real story gave me the foundation of a plot and demanded to be told. Reading Lee Smith’s novels and short stories over the years had shown me a path into “writing what I know” about life in southwestern Virginia. Lee grew up in the same area, and her characters are often women speaking in a first-person voice, like Anna May. What are your hobbies or creative outlets? Gardening, which these days consists mostly of growing flowers in pots. And studying the Tarot and doing readings for friends. Pay attention to the Earth, the natural world, especially vegetative nature. Shut out the clamor of the world and listen to nature. It’s what sustains us. It’s what will endure, despite some greedy people’s efforts to destroy it. What is the best encouragement or advice you’ve received on your writing journey? When I was in Freshman English in college in the 1950s, the professor told me, in so many words, that I was a “born writer.” It made me determined to live up to that. In later years, rejection of my work by magazine editors served as encouragement—rejections made me more determined than ever to be published. Rejections of some of my poetry submissions were a stimulus for me to found my own poetry magazine, Blackberry, in the 1970s, which in turn led eventually to my starting The Wildflower Press. A long memoir of my early life disguised as a novel. Right now I don’t see it as something I will ever want to publish; it’s a way of revisiting details of my life that I want to reexamine and that may be of some interest to family and friends. Read more about Jeanne, her views about poetry and quantum physics, and Summoning (her 2015 collection of poetry and hybrid works) in part one and part two of her previous interview for SouthWest Writers.